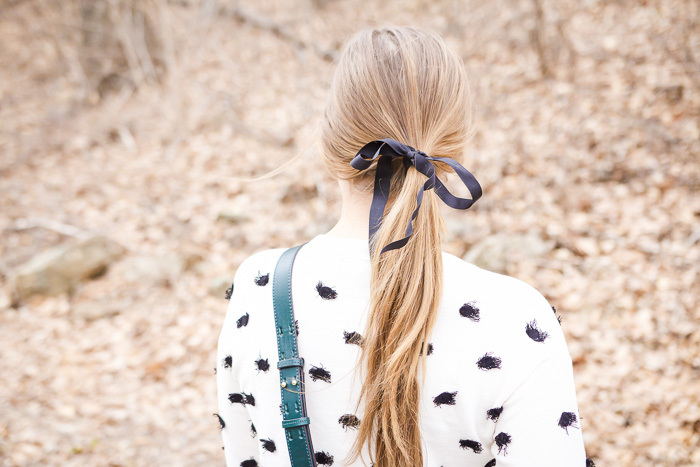 There is something about the classic school girl look, no matter how old I get, I will still love. A basic (or in this case, not so basic) sweater paired with a skirt and a flat shoe is practical and can be perfect for any occasion whether you're dressing up or down! Living in New England, I own an abundance of sweaters but none are like this one! I love the tiny tassels and the classic black and white colors. 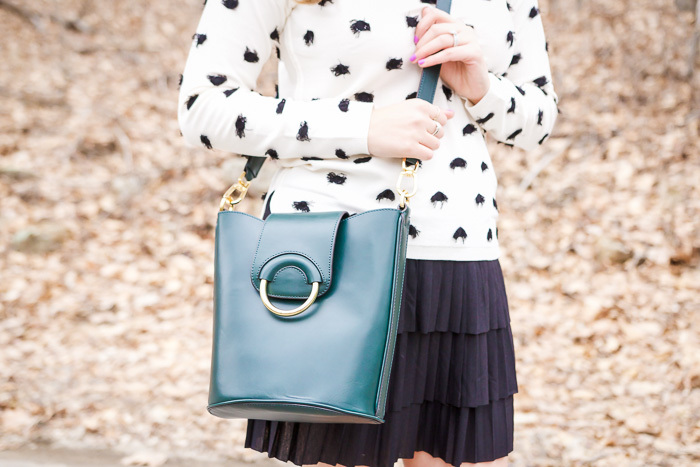 I paired it with a tiered Old Navy skirt to keep the sweater the star of the show. I could also see wearing it with distressed jeans shorts in the summer with black espadrilles and under a puffer vest for the winter! It's the perfect year-round piece! I'm also obsessed with this bag! I had been on the fence about a bucket bag for a while so when Banana Republic sent me this one, it was the perfect opportunity to try out the style! It's easy to grab items out of and the color is so versatile! Thanks, Anna! You're so sweet! Such a great sweater! Love how you styled this with the booties! Thanks, Janna! I was very excited to work with them!